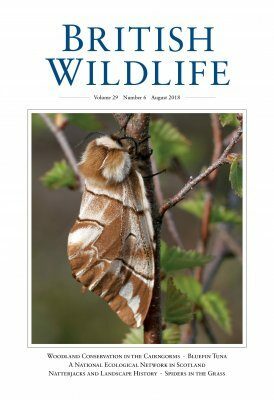 Since its launch in 1989, British Wildlife has established its position as the leading natural history magazine in the UK, providing essential reading for both enthusiast and professional naturalists and wildlife conservationists. There is no other publication that offers such high-quality, authoritative, well-researched and accessible articles on such a wide range of subjects. Published bi-monthly, each issue has 84 information-packed pages. 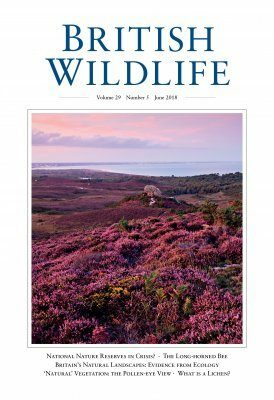 There are several in-depth articles in each issue, covering such diverse subjects as public access and bird conservation, the invasion of the Harlequin Ladybird, ancient woodlands, conserving rare plants, and sharks in British waters. 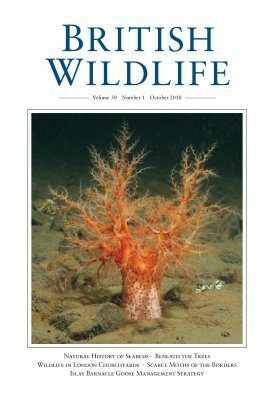 Written by top experts, these articles provide a unique opportunity for naturalists and wildlife conservationists to keep abreast of new discoveries and the latest trends. All are beautifully illustrated with high quality colour photographs and artworks, and with maps, diagrams and charts where appropriate. 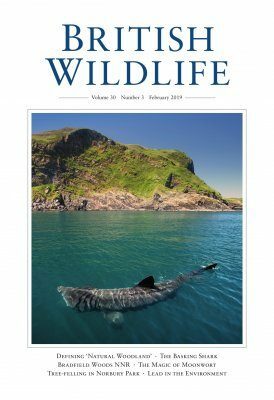 The acclaimed ‘Wildlife reports’ section covers the latest news on everything from whales and dolphins to fungi, and is written by a regular team of respected experts, many representing national organisations. If you want to know what’s happening, whether it’s in the world of moths, butterflies, grasshoppers, snails, lichens or bees, this is the place to find the information. Not surprisingly, many readers tell us this is the first section they turn to in the magazine. The ‘Conservation news’ section, compiled by Sue Everett, is a wide-ranging summary of current conservation issues, from changing agricultural policies to pollution threats and changes in the law, making it essential reading for anyone wanting to stay in touch with rapidly changing events. 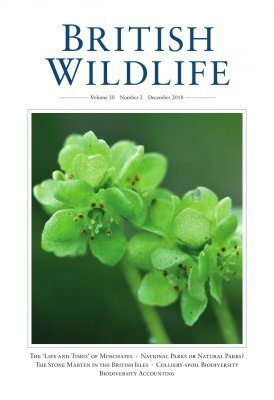 Other regular features include: Habitat Management News – a review of the latest findings and techniques; regular columns from Peter Marren, Robert Burton, Michael Viney, Mark Avery, Simon Barnes, James Robertson and Michael Scott; Reserve Focus/Classic Wildlife Sites – a detailed look at the history, management, wildlife and access to some of Britain’s premier reserves and wildlife hotspots; Identification – features written by expert field naturalists, illustrated by photographs and artworks and covering a wide range of subjects, such as newts, clubmosses, darter dragonflies, bats and beetles; and Book Reviews and Letters. 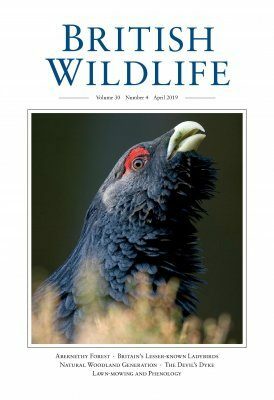 We mourn the untimely passing of Malcolm Tait, who edited British Wildlife until the June 2016 issue. 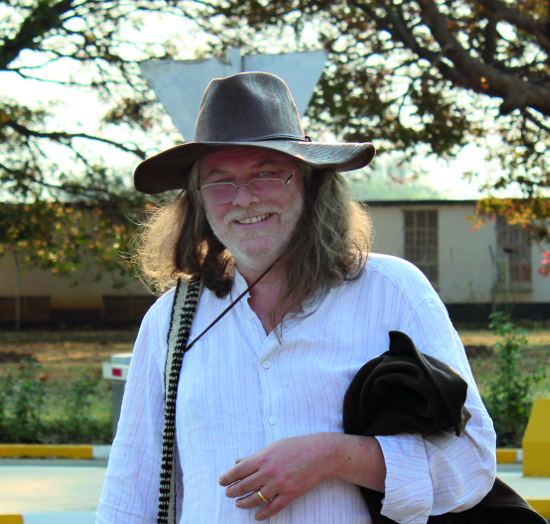 Andrew Branson remembers him in an obituary in August.